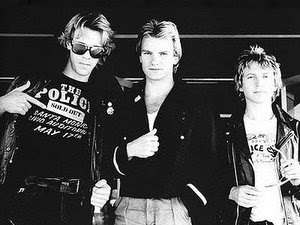 The Police have booked rehearsal space for their upcoming reunion tour, according to reports. The news seems to confirm claims that the band are on the brink of reforming, more than 20 years since they last played live. Sting, Andy Summers, and Stewart Copeland are expected to reunite at Lions Gate Studios in Vancouver in the coming weeks to work on material. With the group currently celebrating the 30th anniversary of their breakthrough hit "Roxanne," details of a full world tour are expected shortly, reports Billboard. It is also widely expected that the Police will play during the opening section of the 2007 Grammy Awards next month. The event takes place at the Los Angeles' Staples Center on February 11.